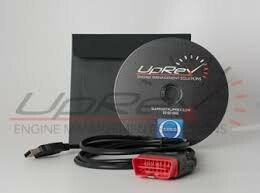 Allow 2JR to remotely tune your Nissan Juke via UpRev. 2JR provides the license, cable and software links - and works their tuning expertise to dial in your Juke based on your mods and driving style (street / autox / track). 2JR will walk you through the process of simply datalogging the ECU during driving and we will review your data and provide a tune back to you. Typically 6-8 datalogging sessions are required to dial it in to 2JR's high tuning standards. This can take up to two weeks of working with you - so certainly your patience is always appreciated through this process. FYI - your UpRev license can always be flashed back to the cable and the cable sold in the future should you sell your vehicle / part out. This can also be done if you are going in for warranty work. 2JR can provide you with the back to stock rom in these situations at no charge.